The National Petroleum Authority (NPA), has said it will punish Movenpinna Energy, Zup Oil and over forty other unlicensed companies that purchased off-spec fuel from BOST, despite government’s claim that there was nothing wrong in the transaction. According to the acting Chief Executive of the NPA, Hassan Tampuli, although it is still investigating the matter, its preliminary checks show that the companies erred in getting involved in the transaction. Speaking on Eyewitness News, he said the relevant sanctions will be imposed on each of the companies when its investigations are concluded. “Nobody has said Movenpiina and Zup Oil will not be sanctioned for trading in the downstream business without a license. That also extends to the 49 companies which engaged in the business of trading in the off-spec petroleum products without a license. And we will go after every single one of them,” he said. It emerged last week that, the Bulk Oil Storage and Transportation company (BOST) signed a deal to sell about 5 million litres of contaminated fuel to Movenpiina Energy and Zup Oil at a discounted price that could result in Ghana losing about GHs7 million in revenue. The Energy Minister, Boakye Agyarko, constituted an 8-member investigative committee to look thoroughly into the matter, but barely a week afterward, he announced at a press conference that the committee found no wrongdoing in the deal. “The investigations so far carried out by the state security agencies and the NPA show that on the basis of previous practice, there was no wrongdoing at BOST on the sale of the 5 million liters of contaminated products. We wish to advise that social commentators will in future cross check their facts before making allegations that have the tendency of causing unnecessary panic among consumers of petroleum products,” Mr Agyarko said. 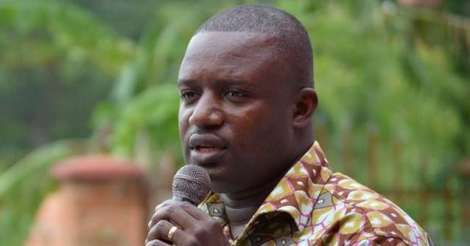 Meanwhile, the former Deputy Power Minister, John Jinapor, has accused the government of covering up the wrongdoing with its claim that the investigations have exonerated the Managing Director of the Bulk Oil Storage and Transportation (BOST), Alfred Obeng. But Mr. Hassan Tampuli said the previous government should also be blamed for the current situation. “John Jinapor should not, in his zeal to deal with this matter, indict government and indict the minister by muddying the waters and creating factions that do not exist. He should start by offering the Ghanaian public an apology for sitting down and watching this off-spec business to go on for so long,” he said.